Kawah Putih (English: White Crater) is a striking crater lake and tourist spot in a volcanic crater about 50 km south of Bandung in West Java in Indonesia. Kawah Putih Lake (7.10° S 107.24 ° E) is one of the two craters which make up Mount Patuha, an andesitic stratovolcano (a “composite” volcano). Mt Patuha is one of numerous volcanoes in Java. Kawah Putih Crater Lake itself represents a relatively stable volcanic system with no records of significant activity since around 1600. The Kawah Putih site was opened to visitors in 1987. The lake is 2,430 meters above sea level so the local climate is often quite chilly (temperatures are frequently around 10 degrees Celsius). This makes a brisk change from the humidity of the north Java plain and the capital city of Jakarta. Kawah Putih is a sizeable highly acid lake (pH 0.5-1.3) which changes color from bluish to whitish green, or brown, depending on the concentration of sulfur and the temperature or the oxidation state. The sand and rocks surrounding the lake have been also leached into whitish colors through interaction with the acidic lake waters (with possible mineral precipitation as well). The lake is said to have been discovered in 1837 by Dr Franz Wilhelm Junghuhn, a German botanist who carried out a considerable amount of research in Indonesia until his death in Lembang, just north of Bandung, in 1864. At the time, there were various local stories about the history of the area. Birds were said to be reluctant to fly near the region and villagers in the area tended to regard the forest around the lake as eerie and somewhat mysterious. These stories prompted Dr Junghuhn to investigate. He discovered Kawah Putih. There was formerly a sulfur mine at the crater although production has now ceased. A sulfur plant known as the Zwavel Ontgining Kawah Putih was first established near the lake during the period of Dutch rule in Java. The plant was later taken over during World War II by the Japanese military and operated under the name Kawah Putih Kenzanka Yokoya Ciwidey. Entry points to various tunnels which represent the remnants of these mining activities can be seen at several points around the current site. 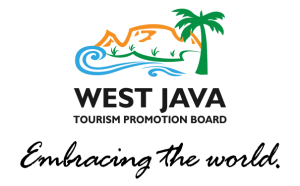 Over a century after Franz Wilhelm Junghuhn first discovered the lake, in 1991 the Indonesian state-owned forestry firm Perhutani Unit III Jawa Barat dan Banten (Forestry Unit No III for West Java and Banten) began to develop the site as a tourist spot. The surrounding area is heavily forested. There is a pathway down to the lake which is surrounded by the high walls of the crater nestling into the side of Mt Patuha. The smell of sulfur is strong because there is a good deal of steam and sulfurous gas bubbling from the lake. There are tracks around the lake and through the nearby forest including to the peak of Mt Patuha. Visitors can walk around the crater area or sit in the various shelters. Local plants not widely found in lower altitudes in Java include javanese Edelweiss and Cantigy (Vaccinium varingifolium). Animals and birds which may be spotted include eagles, owls, monkeys, mouse deer, and forest pigs. Panthers, leopards and pythons have also sometimes been seen in the nearby forest. A range of simple facilities exists near the lake. There is ample parking and public toilets. Entrepreneurial vendors sell trinkets and food. The site is well-signposted. Local farmers often take the opportunity to sell strawberries (widely grown in the area), steamed corn, and various other items such as pumpkin seeds (pepita).